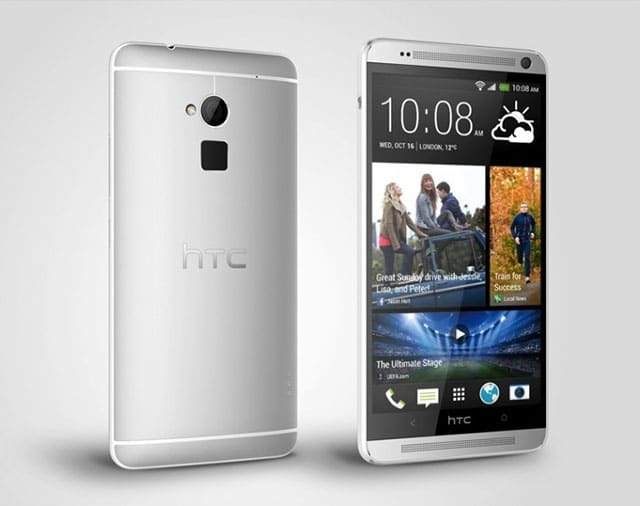 HTC on Monday unveiled its latest Android phone, the HTC One Max. The One Max is HTC’s first phablet, a phone almost as big as a tablet. While having the same physical shape as the HTC One released earlier this year, the size of the HTC One Max screen have been increased to a huge 5.9-inch display – a screen bigger than the famous-for-being big Samsung Galaxy Note III. The HTC One Max is not just a bigger version of the HTC One, HTC also added new features. There’s now a fingerprint sensor in this phone that allows you to unlock the phone using your fingerprint. Unlike the iPhone 5s which have its fingerprint sensor in front, the HTC One Max fingerprint sensor is located at the back of the phone just below the camera. Inside, the HTC One Max sports a Snapdragon 600 processor clocked at 1.7 GHz with 2GB of RAM. The phone also has a NFC chip, LTE support, and Bluetooth 4.0. For storage, there will be two different models with different internal storage including 16GB and a 32GB. You can also add an external microSD card with up to 64GB of storage. The front camera is a 2.1 megapixels camera capable of 1080p video recording, while the rear camera sports a 4 megapixels sensor. All of these will be powered by a non-removable 3300 mAh battery, and Android 4.3 with HTC Sense 5.5 skin. HTC announced that the phone will begin rolling-out from mid-end October, no price and availability for US have been announced yet.